GOAL - helmet decals TEAM PACK. Award your players with helmet decals! 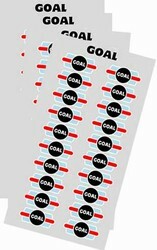 The TEAM PACK decal sheet has 6 sheets of 20 "GOAL" decals. Hockey players can add a helmet decal to their collection for every goal that they're a part of. GOAL - helmet decals TEAM PACK. Award your players with helmet decals! 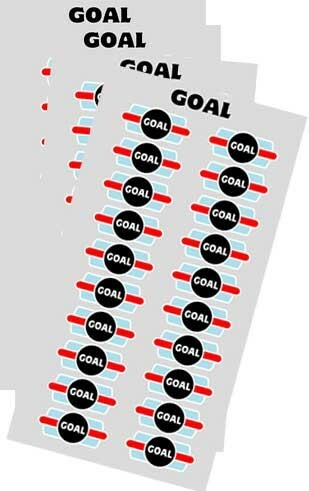 The TEAM PACK decal sheet has 6 sheets of 20 "GOAL" decals. Hockey players can add a helmet decal to their collection for every goal that they're a part of. We also make custom number packs and custom decals.